The title page of the Book of Mormon informs us that Mormon’s abridgment of the Nephite records was “To come forth by the gift and power of God unto the interpretation thereof …The interpretation thereof by the gift of God.” The idea is also found in the Testimony of the Three Witnesses, in D&C 135:3, and in Joseph Smith’s declaration, “Through the medium of the Urim and Thummim I translated the record by the gift and power of God” (History of the Church 4:537). Though the Book of Mormon was of divine origin, there were other factors that made it possible to bring it to light. One of these was the manner in which the plates containing the record were preserved. Had Mormon written his abridgment on perishable materials, it might not have survived the 1400 years until the time of Joseph Smith. He could have written it on plates of copper, bronze, or silver, but these could have oxidized over the centuries, leaving only fragmentary text. Instead, he chose gold (or a gold alloy), which retains its brightness after thousands of years of burial in the ground. Mormon’s son, Moroni, carefully placed the plates in a stone box atop two other stones and covered the box with a much larger stone that kept the cache safe from discovery and the effects of nature. It was the Lord who directed the preparation of records on plates (1 Nephi 9:3, 5; 19:1, 3; 2 Nephi 5:30-32; Mormon 8:14). Less than a century after the development of printing, the Protestant Reformation was underway, one of whose goals was to make the Bible available in the native languages of western Europe. Literacy and Bible knowledge spread to the masses over the next few centuries. Although both of these were important for the acceptance of the Book of Mormon by the reading public,  as long as there was no one to retrieve and translate Mormon’s record, the book could not become known. The New World came to the attention of Europeans following the voyages of Christopher Columbus, beginning in 1492, just a few years before the Reformation began. The Protestant movement ultimately led to the formation of the Church of England and its various break-offs, including the Puritan movement that led to the settling of New England in the early seventeenth century. Joseph Smith’s ancestors were part of that movement and some participated in the U.S. war of independence against Britain. Most of them lived in Massachusetts, but Joseph Smith Jr. was actually born in Sharon, Vermont. Had his family remained in that area, he might never have come into possession of the gold plates that Moroni hid in a hill located in the state of New York. What, then, brought the Smith family to New York? The answer to that question is: a volcano, Tambora by name, situated on an island in what is today the nation of Indonesia. In 1815, Tambora exploded with such fury that it has never been surpassed in modern times, not even by the more well-known 1883 eruption of the Indonesian island of Krakatoa. Ten thousand people on Sumbawa and nearby islands were killed instantaneously, and 82,000 more died from the famine and disease that followed. The sound of the explosion was heard as far away as 1,600 miles, on the island of Rodriguez. Tambora ejected some thirty-six cubic miles (170 billion tons) of volcanic debris into the stratosphere. The thick ash cloud produced complete darkness on islands up to 370 miles away for three days. Circling the globe many times over and joining with ash from the 1812 eruption of La Soufrière in the West Indies and the 1814 eruption of Mt. Mayon on the Philippine island of Luzon, it produced spectacular orange sunsets as far away as England, and parts of Europe and North America experienced no summer in 1816. Snow fell in some parts of New England as late as July and August, with frost recorded every month from June through September. Crop failure resulted in widespread famine and food riots in France and England. The Smiths, then living in Norwich, Vermont, were among those who experienced crop failures due, as Lucy Mack Smith wrote, “to an untimely frost” that “almost caused a famine.” Her husband decided to move to New York and the family settled in the vicinity of Palmyra, where Joseph Jr. not only experienced his first vision, but also received the visit of the angel Moroni, from whom he obtained the abridgment plates prepared by Mormon and hidden by Moroni himself a millennium and a half earlier. The next factor in bringing the Book of Mormon to the people of the world was missionary work. Shortly after the book’s publication in 1830, Joseph’s brother Samuel took copies with him on a missionary journey in the northeastern part of the United States. Since that time, missionaries have distributed copies of the Book of Mormon throughout much of the world. This has been facilitated by another development, the restored Church’s translation program, which began in the 1850s and was accelerated beginning in the 1970s. By the end of 2007, some 100 million copies of the Book of Mormon had been printed in 94 languages. A factor in bringing the Book of Mormon to the attention of more people is scholarly research into Book of Mormon topics. Early researchers included Thomas Brookbank, B. H. Roberts, and Janne Sjodahl, followed in the mid 20th century by Sidney Sperry, Hugh Nibley, and others. Great advances were made beginning in 1946 by the Society for Early Historic Archaeology, now carried on by the Ancient America Foundation. With the establishment of the Foundation for Ancient Research and Mormon Studies (FARMS) in 1979, scholarly efforts became more coordinated and more widely known, thanks to the publication of numerous books and periodicals such as the Journal of Book of Mormon Studies. The development of electronic media has also contributed to spreading abroad the message of the Book of Mormon. The Church of Jesus Christ of Latter-day Saints issued its computerized versions of all the scriptures in the 1980s and the Infobases CD-ROM included them as well. With the acquisition of Infobases by the Church-owned Deseret Book, they are now available on that company’s GospelLink CD-ROM packages. A number of Latter-day Saints made the entire text of the Book of Mormon available on their own websites, and it is now available on the Church’s web site at http://scriptures.lds.org/en/bm/contents. One can also order a free copy of the printed Book of Mormon. Whereas the eight could only affirm that the plates existed, the three learned from God himself that the translation was divinely performed. I.e., they learned that the text itself was true. Just as the Book of Mormon was brought to light by the gift and power of God, it is by the gift and power of God that we can know of its truth. 1 For recent studies of the printing of the Book of Mormon, see David J. Whittaker, “’That Most Important of All Books,’ A Printing History of the Book of Mormon,” and Paul Gutjahr, “The Golden Bible in the Bible’s Golden Age: The Book of Mormon and Antebellum Print Culture,” both in FARMS Occasional Papers 5 (2007). See also Larry W. Draper, “Book of Mormon Editions,” in M. Gerald Bradford and Alison Coutts (eds. ), Uncovering the Original Text of the Book of Mormon: History and Findings of the Critical Text Project (Provo: FARMS, 2002). The hiding of records in caves or in the ground is now known to have been a widespread ancient practice, as I discussed in my book The Book of Mormon and Other Hidden Books: Out of Darkness Unto Light (Provo: FARMS, 2000). See also H. Curtis Wright, “Metal Documents in Stone Boxes,” in volume 1 of John M. Lundquist and Stephen R. Ricks, eds., By Study and Also by Faith (Salt Lake City: Deseret and FARMS, 1990). When St. Jerome translated the Bible into Latin in the late fourth and early fifth centuries AD, he intended to make the Bible (formerly available in Greek and Hebrew) more widely available to those who could read. At the time, none of the native tongues of western Europe were being written, so those who were literate could read only Latin. Both were also factors in the rejection of the Book of Mormon by those who considered the Bible the exclusive word of God. 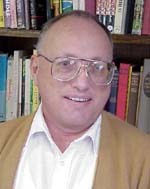 For a brief history of such research, see John A. Tvedtnes, “Scholarship in Mormonism and Mormonism in Scholarship,” posted on the FAIR web site at http://www.fairlds.org/FAIR. For a specific example, see Tvedtnes, “Hebrew Names in the Book of Mormon,” posted on the FAIR web site at http://www.fairlds.org/pubs/HebrewNames.pdf. This paper was originally presented at the 13th annual World Congress of Jewish Studies in Jerusalem, August 2001. In addition to the ones on the institute’s web site (http://maxwellinstitute.byu.edu/), several volumes have appeared in the German series F.A.R.M.S. Foundation for Ancient Research and Mormon Studies, Deutschsprachige Ausgabe. For a French web site that includes many scholarly articles on the Book of Mormon and other LDS topics, go to http://www.idumea.org/Etudes/Etudes.htm. Conversion and Testimony of Bob Hilke Jr.